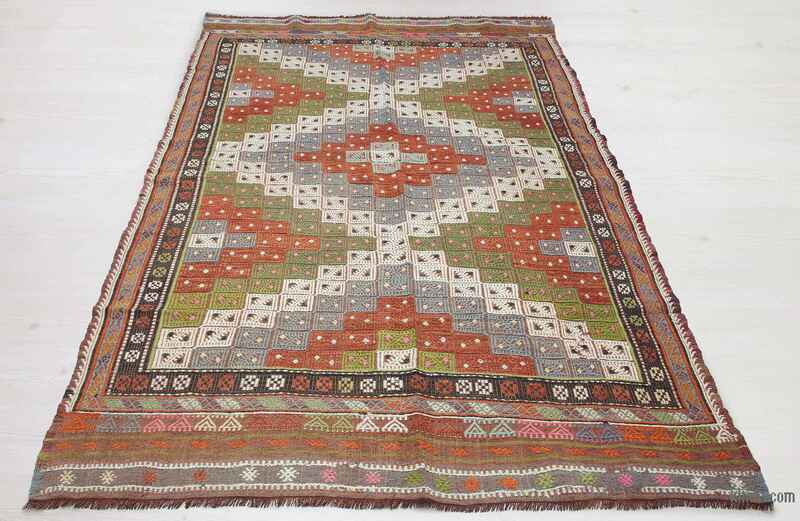 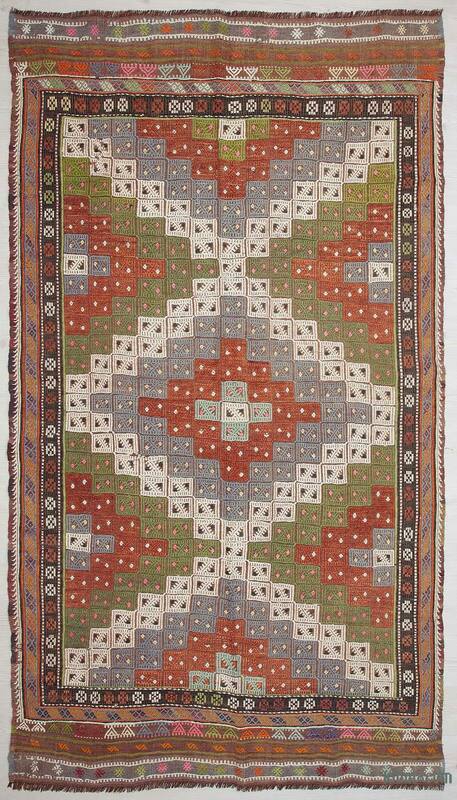 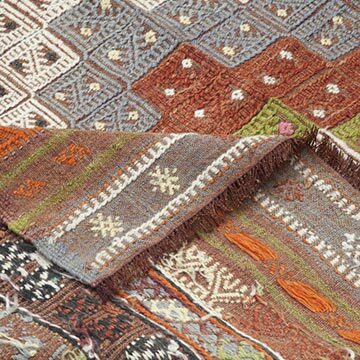 Vintage Fethiye jijim rug hand-woven in mid 20th century and in very good condition. 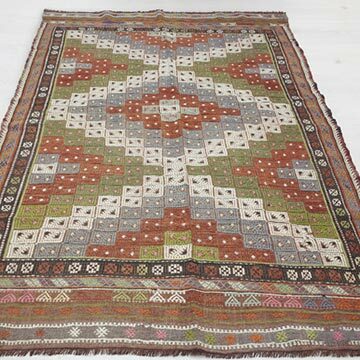 Fethiye, once an ancient Lycian site in the Mediterranean region of Turkey is now a popular holiday location. 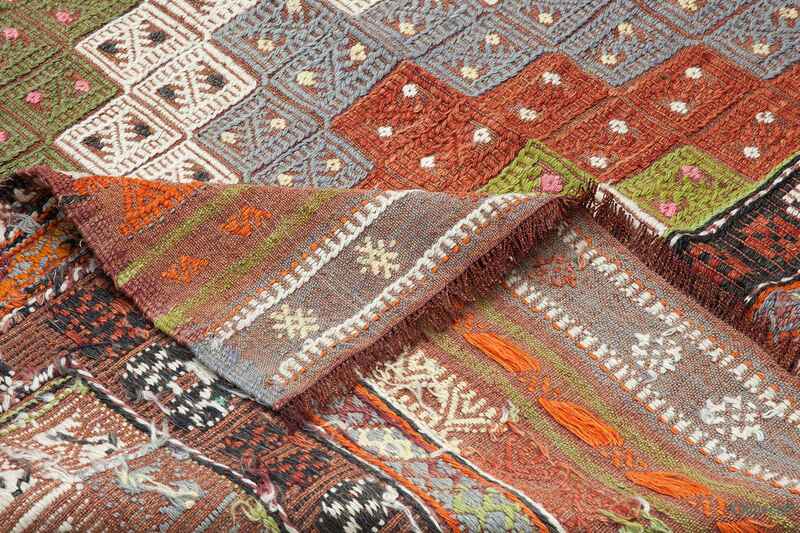 Jijim is a Turkish word for a kilim made using the supplementary weft technique.